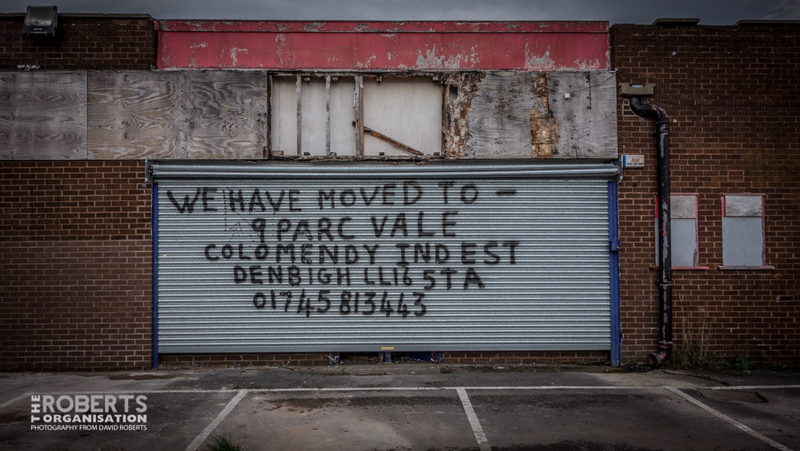 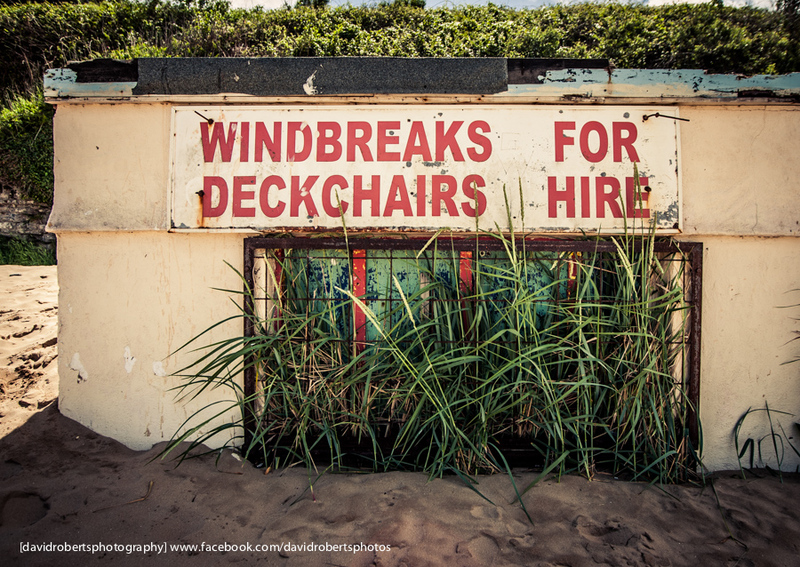 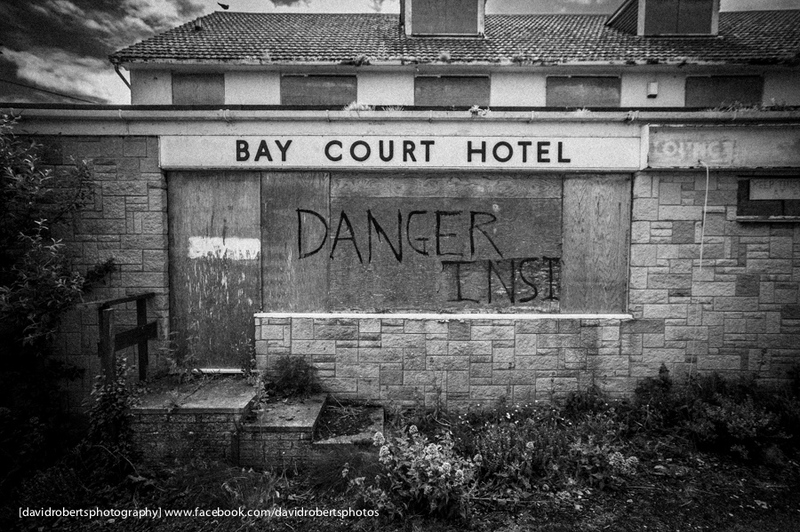 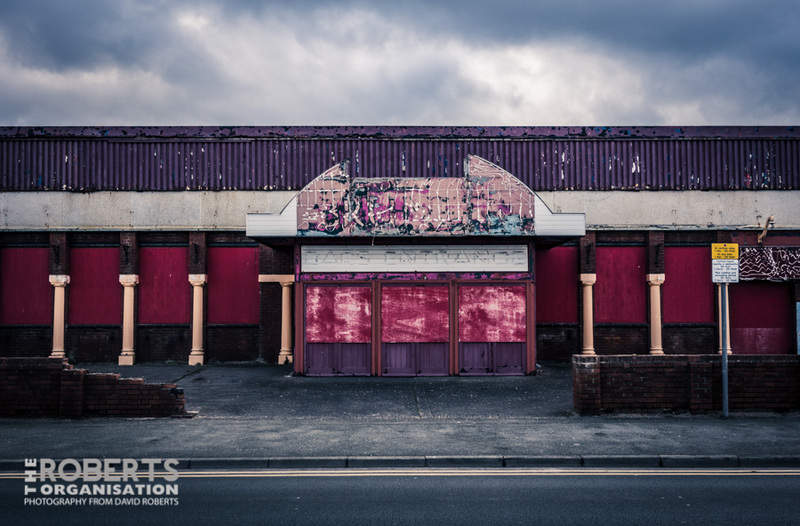 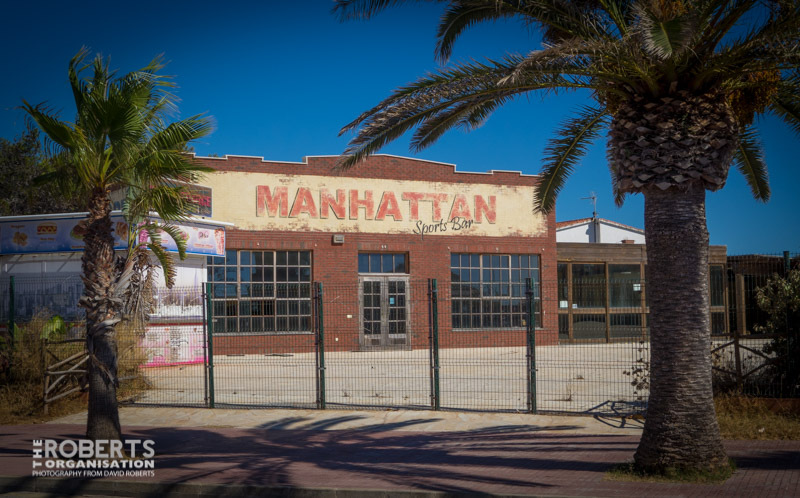 Exterior of abandoned Dixieland Nightclub in Rhyl. 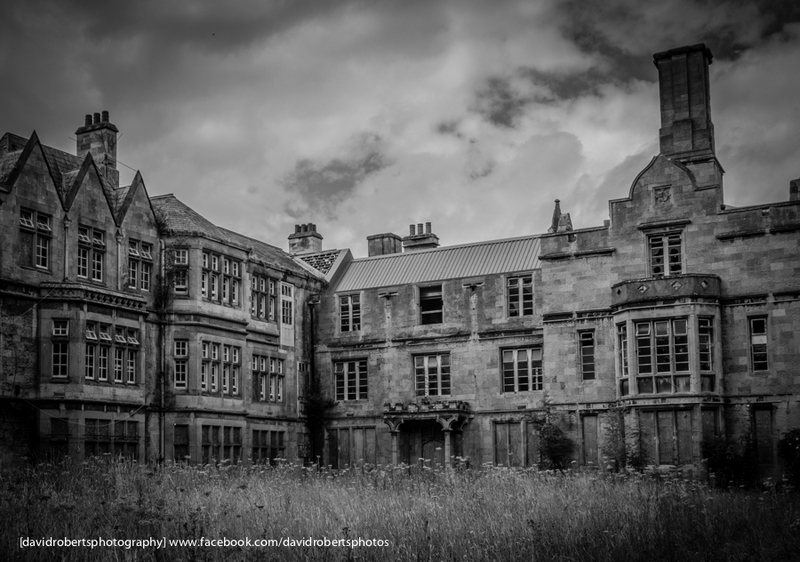 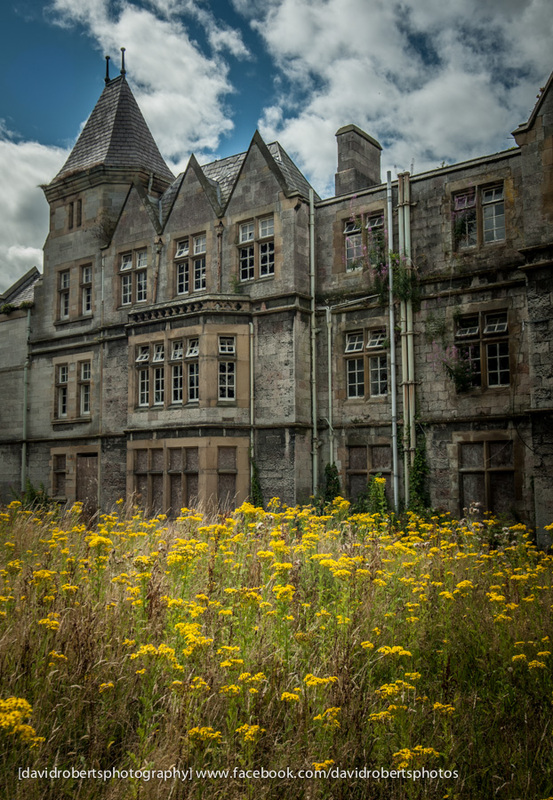 Façade of the main Administration Building at the former North Wales Hospital at Denbigh. 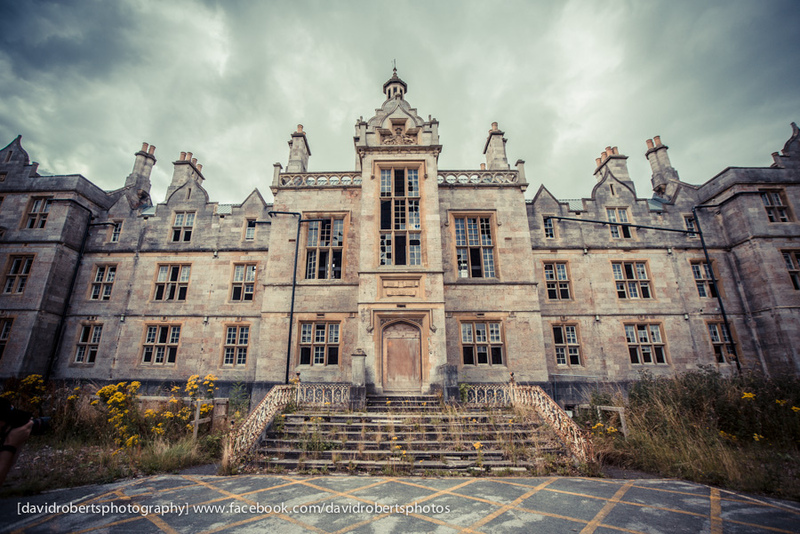 This very large mental hospital closed in 2002 and has been disused ever since, falling further and further into decay. 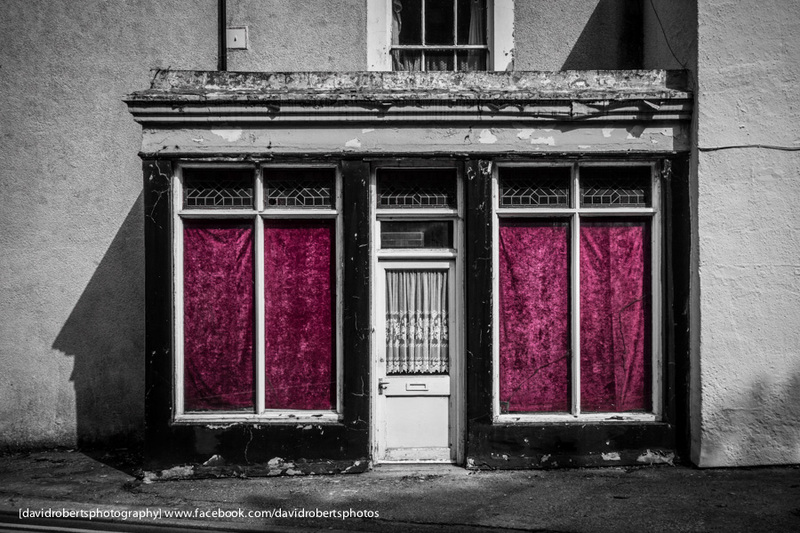 Red velvet adds a touch of colour to this long disused shop in Llanfairfechan.